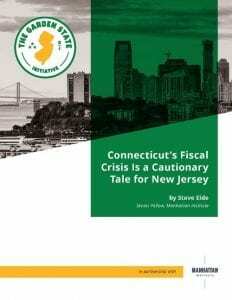 A new 16-page report by Garden State Initiative (GSI) details the common fiscal traits and challenges found between New Jersey and Connecticut – and the inherent risk the Garden State could face should it follow Connecticut’s lead in trying to tax its way out of problems. 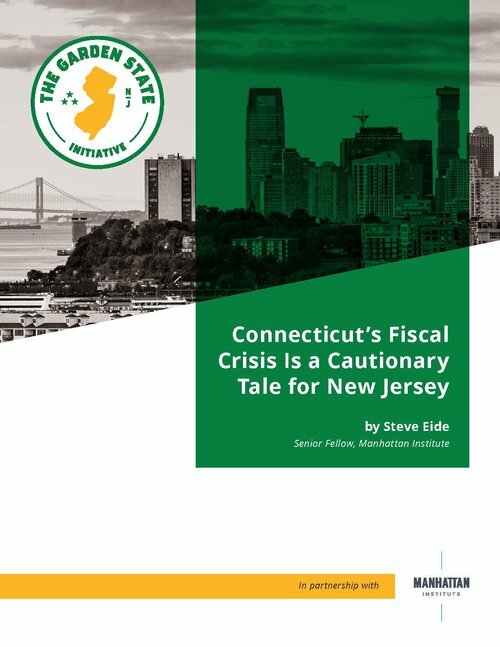 The GSI report, titled “Connecticut’s Fiscal Crisis Is a Cautionary Tale for New Jersey,” illustrates both states’ high levels of personal income, high tax burdens, low poverty rates, unsustainable pension situations and proximity to New York City. While New Jersey has mostly held the line on taxes over the past eight years, Connecticut has enacted three major tax increases since 2009. Specifically, Connecticut’s top marginal income tax rate has risen from 5 percent to 6.99 percent, the state sales tax has climbed from 6 percent to 6.35 percent and high earners, as well as more middle-class single and joint filers, have also experienced measurable tax increases. Those increases, according to the report, have resulted in sustained deficits, with Connecticut lawmakers trying to determine how to close a $3.5 billion gap for the next two fiscal years. “When governments raise taxes not to enhance services but to pay for the costs of the past, this not only weakens their advantage relative to low-tax jurisdictions but also to high-tax jurisdictions with a reputation for a high quality of life,” writes report author Stephen D. Eide, of the Manhattan Institute. GSI’s report can be found here.